A changing climate affects both the growth and the potential extent of our forests. Quantification of the effects is, however, not a trivial task. 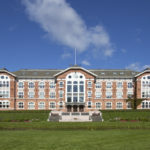 Climate change involves both changes in temperature and precipitation and studies have predicted that the magnitude of these changes will vary across latitudinal and altitudinal gradients. The competitive relationships between different vegetation species are also likely to change with changes in climate. 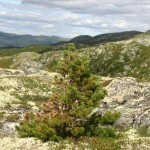 In the boreal-alpine and boreal-tundra tree line ecotones, the changes are expected to be most rapid, both because trees here to a large degree grow on their tolerance limit in terms of climatic conditions, but also because the number of grazing domestic animals have declined in the last decades. A potential increased forest area because of upwards- and northwards shifts in the tree line will have an effect on carbon sequestration, but also the albedo effect and biodiversity in the tree line ecotone. Even for the forests well below the tree line, the growth conditions will change with changes in climate. Increased productivity will have impact both on the climate mitigation potential of the forest sector as well as the sector’s economic potential. By means of time series data of the growth of trees, both on the productive forest land and in the tree line ecotone, coupled with time series data of climate, herbivory, airborne laser scanning, imagery, and multi-spectral information, the project ForestPotential aims at answering the several important research questions. What are the relative importance of grazing and climate on recruitment and growth in the tree line ecotone, and how accurately can changes be monitored using remotely sensed data? Can bi-temporal airborne laser scanner data be used to accurately estimate forest productivity? With input from the analyses of these research questions, we will also carry out long-term, large-scale forecasts of the Norwegian forest sector, also accounting for the albedo effect and the dynamics of the forest soil carbon stocks. 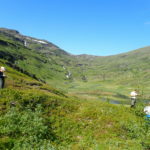 Rollag: Within a 200 x 600 m area, over a ridge in Rollag municipality, detailed measurements of trees in the tree line ecotone have been carried out. The development of these trees have been followed over a period of 12 years (2006-2018). The datast will primarely be used for development of a system for monitoring the tree line ecotone using remote sensing. The transect: This dataset consists of a corridor sampled using aiborne laser scanners (200 m wide and 1,500 km long). 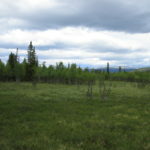 The transect stretches from south to north in Norway and passes many transition zones between forest and alpine areas. Field measurements of trees and surrounding vegetation, have been carried out on 36 field sites along the transect. Laser scanner data have been collected over the transect in 2006/2007 and 2012/2013. Field work efforts were carried out in 2008, 2012 og 2018. A drone was used to collect remotely sensed data for the field sites in 2018 . Together with climate data and data describing herbivore pressure, the dataset is going to be used for analyses that aim at disentangling the effects of climate and changed land use on the changes in the tree line ecotone. 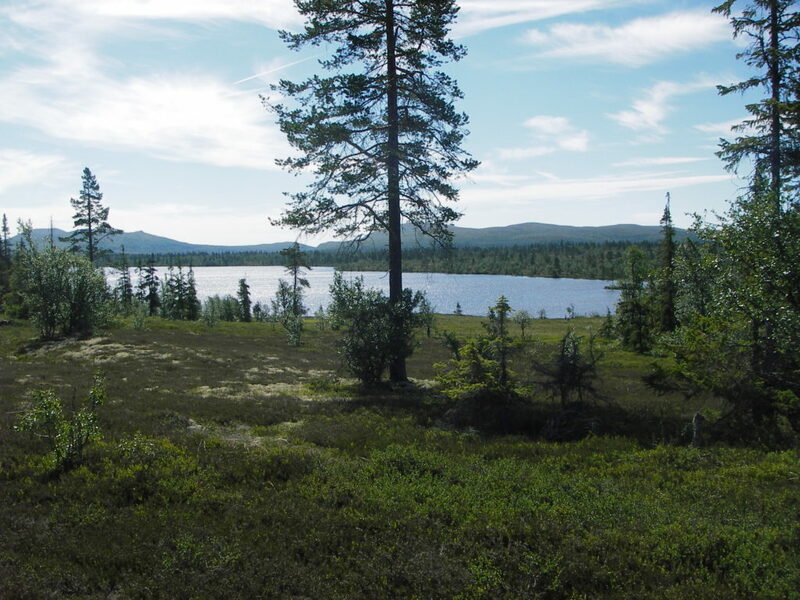 Hol/Setesdal: This dataset comprise controlled experiments where the vegetation partly have been protected from herbivores, and partly not. The dataset will be used to analyze how different levels of hebivore pressure affect the etablishment of trees in the tree line ecotone. Production forest: This dataset comprise data from several operational forest inventories in the south-eastern part of Norway. For all the different locations, inventories at two different points in time are available. This enables analyses related to potential increased growth in the lowland forest as a result of a changing cllimate. 2018.10.12: Field work in the transect complete. (Norsk) Masteroppgave: Allelopatisk effekt av krekling på rekruttering og overlevelse av pionertrær i tregrenseøkotonen. This entry was posted in Current projects, ForestPotential, Projects by Ole Martin Bollandsås. Bookmark the permalink.